M2: We must fully trust the architect, but regularly review the decisions he or she is making; 28 December 2018. 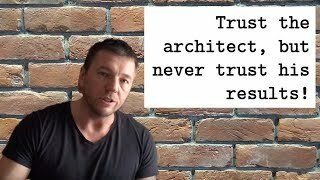 The only real boss of the architect is requirements. The lower the risk tolerance in the project, the more pairs of eyes we need to look at the decisions the architect is making.